Unnamed sources have revealed that Hewlett-Packard Company (NYSE:HPQ) is currently considering the sale of its photo sharing service, Snapfish, which it had acquired in 2005 for more than $300 million. 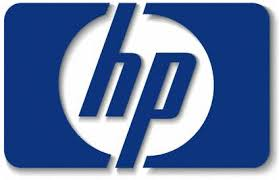 The sources have further revealed that the company, popularly known as HP, has held a series of discussions with potential buyers in a bid to close the sale as soon as possible. Reuters has reported that Hewlett-Packard Company (NYSE:HPQ) has held a series of talks with private equity and industry buyers to remove Snapfish from its list of services as it’s non-core to the company. This is according to sources that spoke with the news platform. It’s also said that some companies that are interested in purchasing Snapfish have also shown interest in acquiring Snapfish’s rival Shutterfly Inc. The said companies are Silver Lake, Bain Capital and Hellman & Friedman, all of which submitted their interest for Shutterfly Inc in August. If Hewlett-Packard Company (NYSE:HPQ) doesn’t secure the sale as soon as possible, Shutterfly’s deal might be sealed ahead since discussions are already at advanced stages. Frank Quattrone’s Qatalyst Partners had been roped in to find a buyer for the Shutterfly photo sharing service and is expected to be wrapping up the assignment in a matter of weeks. Hewlett-Packard Company (NYSE:HPQ) had its stocks respond to the announcement, recording a 0.19% increase to $36.63 just a few hours after the news came out that HP is considering the sale. It’s not yet clear how much HP is planning to sell Snapfish as sources haven’t revealed that just yet. It’s believed that as the search for a buyer gains momentum, more details will be revealed, factors that may have impact on HP’s stocks. Hewlett-Packard Company’s spokesperson refused to comment on the matter.